The concept of screen time is relatively new. Today the whole world has become one big community due to the internet revolution. This has meant that people increasingly turn to internet devices for many of their daily jobs or activities. Individuals are 'always connected' via smart devices. Biggest impact in our lives have been on how we consume entertainment. This has given us access to on-demand movies, large collection of videos on sites like youtube and social media that's driving your social life. While technology certainly helps us, we parents without knowingly brings our obsession and dependancy on digital devices to our home. Your child grows up seeing the importance of mobile phone, laptop, tablet,TV in their parents lives and they also are attracted towards it or considers it an integral part of their life. When our children grabs our mobile phones and starts using it,have we ever thought of the dangers they are getting into. Have we ever understood how its going to affect the crucial period of their life when developments in communication, reasoning takes place. Lets see what is the ideal time recommended by doctors and how we can avoid the dangers. 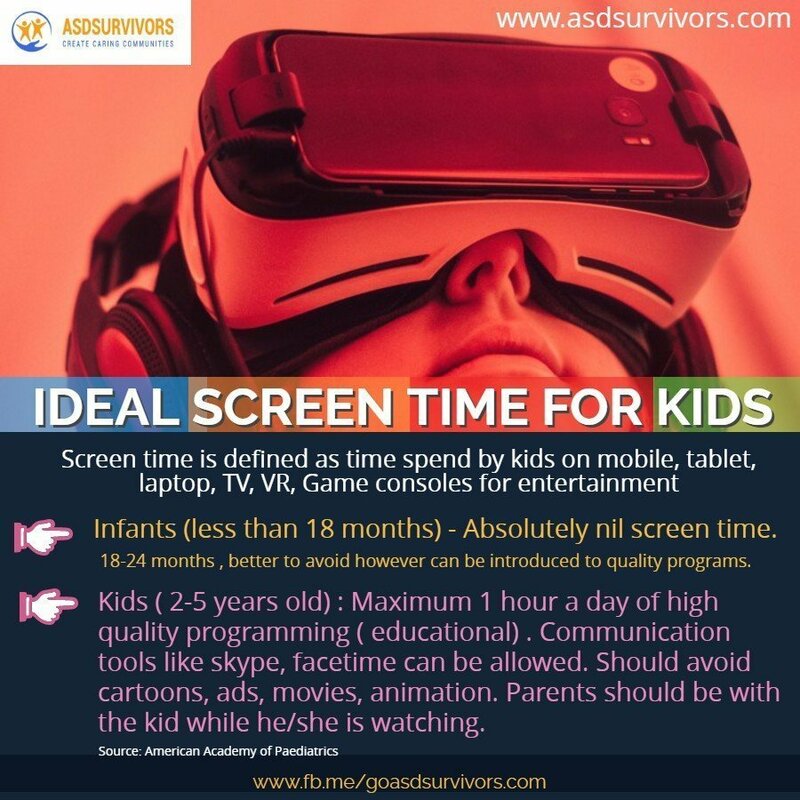 Screen time is defined as the time spent in front of a screen ( mobile, tablet, Desktop, Laptop, TV, Cinema,Virtual Reality gear, Game console for the purpose of entertainment. This excludes the time spent on high quality programs like educational programs or time spend for a project etc. Today's kids have access to devices mentioned above and hence can easily get addicted to them for cartoons,games, movies etc. 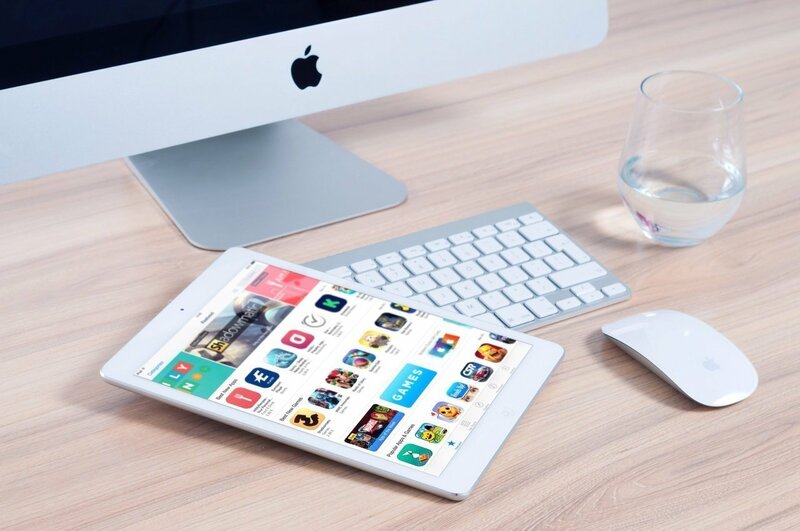 Many a times parents use these devices a s a way to keep them occupied on a false assumption that kids are controlled when they are exposed to these. What is the recommended time​? ​American Academy of Pediatrics discourages media use, except for video-chatting, by children younger than 18 to 24 months. If you want to introduce digital media to children ages 18 to 24 months, make sure it's high quality and avoid solo media use. For children ages 2 to 5, limit screen time to one hour a day of high-quality programming. As your child grows, a one-size-fits-all approach doesn't work as well. Bring sleeplessness to the child. At an age, when child is developing his social skills,he needs two-way interaction. Whereas wrt Screens,the child is getting a one-way communication or a monologue and not a dialogue. The child is left to listen what is being said and has to suppress his natural instinct to participate in it. If the situation is left to continue over a period of time, child will end up being a passive actor in real life scenarios and wont interfere or participate in real situations. A child learns by listening and observing his surroundings which includes learning emotions by looking at faces, gestures or how to approach a situation. Creating a schedule which is explained to the kid so that he is well aware when he can spend time to watch/play on screens. Allow to watch TV or computer under adult supervision. Engage more in family activities involving outdoor activities. As a parent you also need to restrict your screen time. Its important to ensure that the child watches quality programs ( whether its entertainment or educational) which ensures that child learns something from the program and adds to his/her development. Hi! I am a marketing consultant residing in UAE with interests in blogging and digital marketing. My son was diagnosed with ASD in Nov 2016 and this has vastly changed my perception of the condition. Most of us dont know what exactly is Autism. Biggest concern for autism is late detection which is related to low awareness. Its a fact that early detection and intervention is the only way to combat autism. Hoping to spread the message of autism through online and other activities.